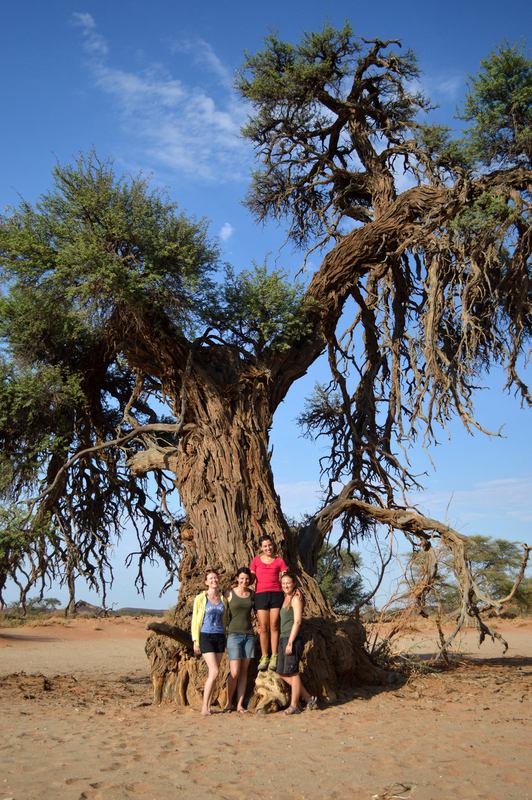 H ave you ever thought of spending your holiday in the scorching Namib Desert? 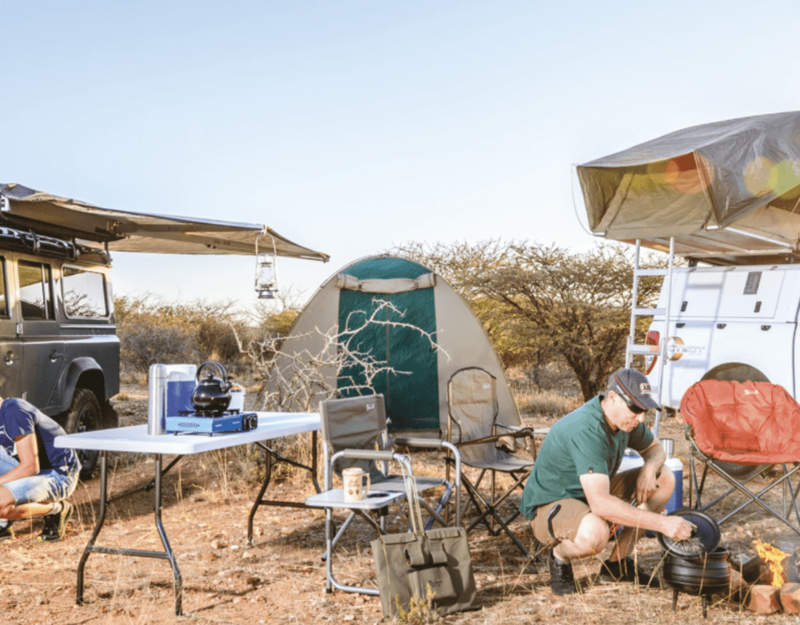 Being attacked by midges under lone Camelthorn trees that provide the only shade in the vast desert, having an unexpected rain shower in a very dry area, as well as enjoying the company of others who had the same idea for their holiday is what I experienced! Why? 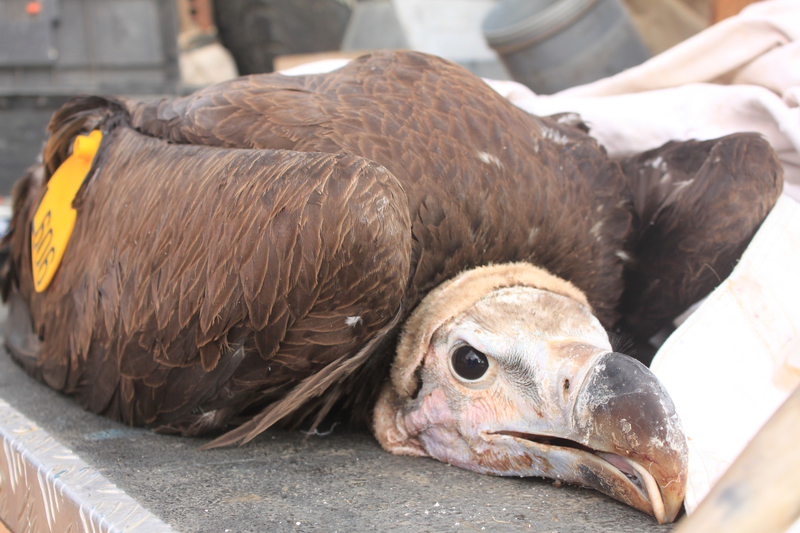 To help the conservation of one of nature’s most charismatic birds – the Lappet-faced Vulture. Two days after New Year 2016, we made our way to the meeting point, Namib-water, in the Namib Naukluft Park. We ventured to Namib-water via Spreetshoogte Pass, regularly stopping to enjoy the awe-inspiring views. We then headed on to Solitaire where we enjoyed some apple pie and refueled the vehicle, unsure of when the next opportunity to refill would occur. 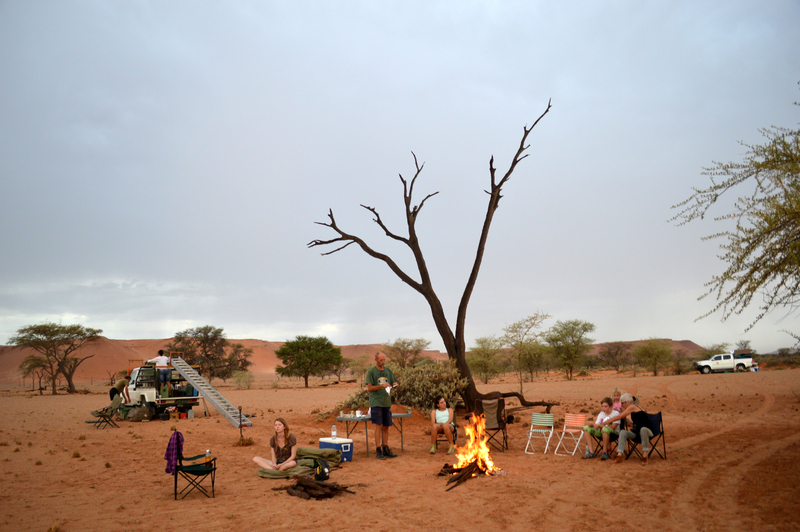 After arriving at Namib-water and everyone had greeted each other, we took to the dune for a sun-downer to enjoy the amazing sunset with a good drink, and of course a braai to the end the day. We had planned to leave by 8am the next day, however, by 7am everyone was ready to head out. Close by, over the first dune we found the first nest, but the chick which occupied it decided not to stay and was already old enough to fly off. Unsuccessful in our attempts to catch a bird, we headed off towards Sossusvlei. Normally everyone goes towards Dune 45 and the other nearby dunes. We went to the area where lone, dead Camelthorns stand – it was there where we got our first vulture! From a distance, we saw a big bird in the nest, but just to make sure we got a long rod out which had a camera on and checked via iPad if we were right – as we expected, there was a vulture chick sitting in it’s nest. 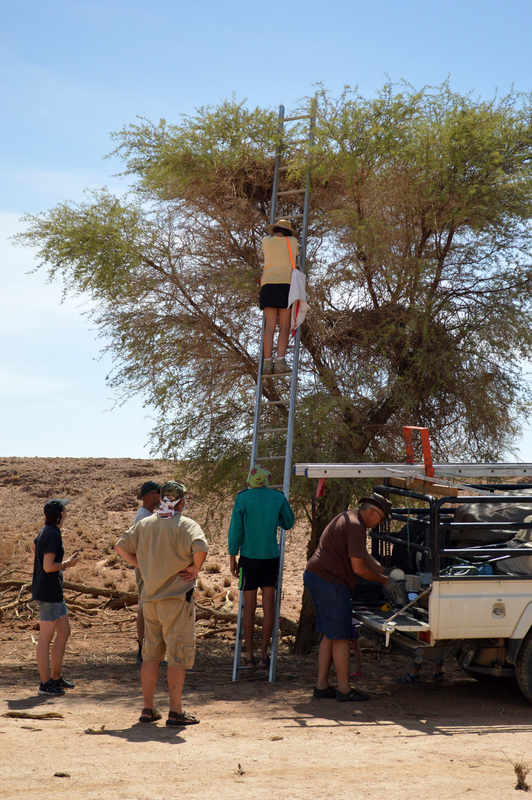 Then came the real work – the heavy steel ladder had to be taken off of the Land Cruiser and put against the tree, then one of us had to climb up to get the chick out. The chick was then put into a cotton bag, taken out of the nest and down to the cars where the whole kit and caboodle was ready to give it ‘jewellery’! Even my friend, Meg, from America had her fun. 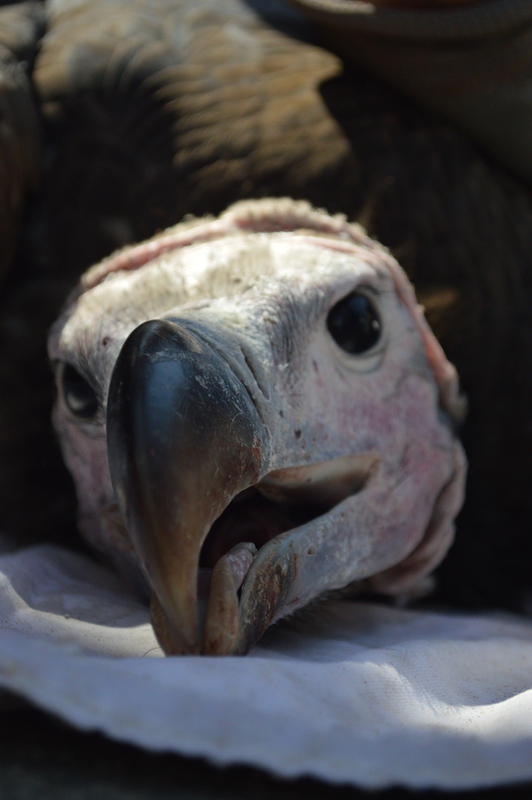 A vulture chick up close. Vulture chick after being tagged. Metal rings with a number on and two cattle tags were secured to the wings of each vulture; this makes it easier to identify them. If the number is seen elsewhere in southern Africa, we then know how far they fly. Wing measurements were taken as well as their weight – and you can’t say it’s a light bird as they already weigh 5 to 7 kg, not an easy weight to carry up a ladder! Occasionally a bird was on the opposite side of the nest so someone had to climb into the nest to reach the bird. From then on we went from tree to tree, where we knew vulture chicks would be from previous GPS recordings, and ringed and tagged them. On the second night we decided that we would stay at a campsite which had a pool and a shower to get rid of the sweat, as in January the desert is very hot! Of course on that day, it was pouring with rain! We all had fun, dancing in the rain and enjoying the sunset that night. Trying to have a braai proved to be difficult, but we managed and then all went to bed, or at least tried to go to bed. Most of us did not have tents with us, because we wanted to sleep under the stars, so we improvised with tarpaulins, which were fixed to the side of the cars to give us some protection from the rain, which was minor. We were then subjected to a wind storm which scared us into thinking that everything would fly away; even the people in their roof tents were concerned that they would fly! Thankfully, we survived and continued our journey. We went deep into the Tsondab Vlei and stayed there for the night, all concerned that we would get hit by the rain storm again, but thankfully it turned out to be a beautiful night. The next day we went through the dune fields closer to the Kusieb River where there was water all over from the rain that had occurred the night before. We stayed the night in the Kusieb River, hoping it would not flow. 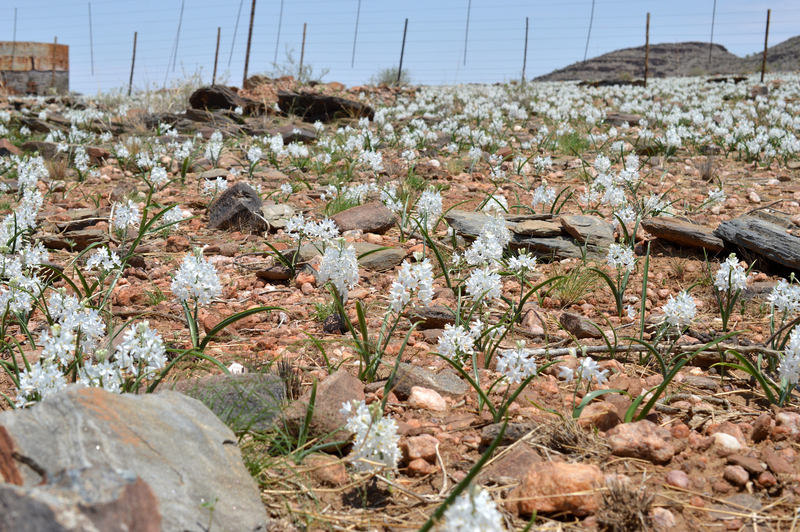 The next morning we tagged our last two vultures around Mirabib and then slowly made our way back to Windhoek via Us-Hoogte Pass where we were surprised by lilies flowering in a big sprawl. Overall, it was an amazing trip that allowed us to see areas normally considered inaccessible. The four of us girls in one car had a lot of fun. 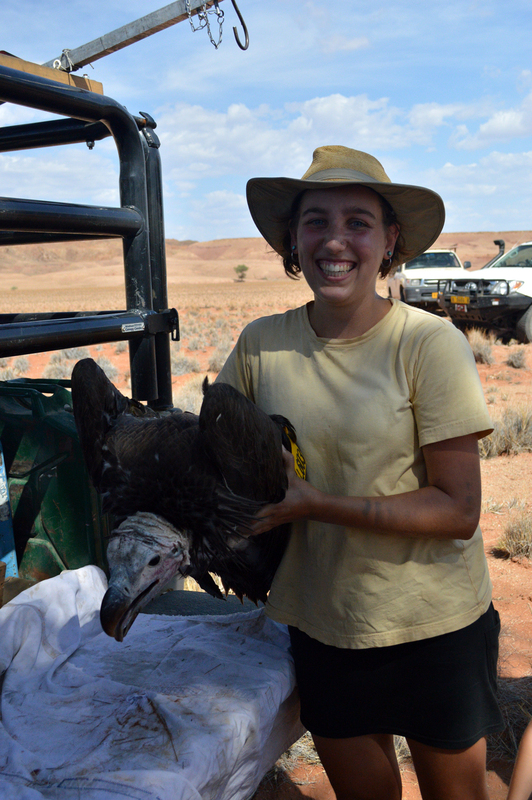 Most importantly we had helped with the conservation of the Lappet-faced Vulture. Having a braai at Tsondab Vlei. Climbing up the ladder to reach the chick. Lilies flowering on Us-Hoogte Pass.